Is Trump's sudden need to review the postal service actually another rebuke of Amazon? President Donald Trump issued a surprise executive order late on Thursday to request an audit of the U.S. Postal Service's finances, adding some administrative force to his recent fiery and unfounded claims that the service was losing money by acting as "delivery boy" for Amazon. "The USPS is on an unsustainable financial path," the order read, noting that the postal service incurred losses of $65 billion since the recession and citing declines in First-Class Mail volumes and "legal mandates that compel the USPS to incur substantial and inflexible costs." Trump ordered the creation of a special task force to evaluate the service's operations and finances, including its pricing, monopoly over letter delivery, role in smaller and rural areas, and the state of its business model. Although the executive order doesn't mention Amazon explicitly, the surprise move is clearly connected to Trump's recent Twitter fusillades and his conviction that the USPS loses $1.50 per package in a "Post Office scam" costing "Billions of Dollars." 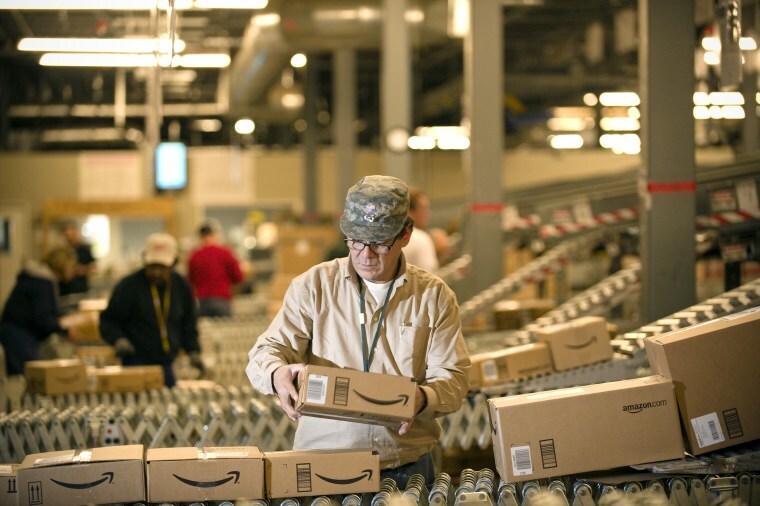 Trump maintains that the service does not make money on the packages it delivers for Amazon, even though the postal service's annual report notes that "mail volume declines for the year were somewhat offset by growth in package volume." Amazon is the frequent target of Trump's ire: In the past, he has accused Amazon of harming retailers and having "a huge anti-trust problem." Trump has also linked the e-commerce giant with another property owned by Amazon CEO Jeff Bezos — the Washington Post, which Trump calls "Amazon’s 'chief lobbyist,'' and "the Fake News Washington Post." The tweets have dinged Amazon's stock price and raised new questions about administrative overreach into the private sector. Professor Rick Geddes, a postal service expert and Director of the Cornell Program in Infrastructure Policy at Cornell University, said the "Amazon flap" is exacerbated because the agreements the USPS makes with large mailers are "secret" and not open to review outside the Postal Regulatory Commission. "Then we could tell if the postal service is losing money," delivering packages for Amazon, he told NBC News, noting that any profits on parcel delivery may not take into account all the institutional costs the postal service incurs. A 2017 Citigroup study estimated that the U.S. Postal Service loses money on parcels delivered for online shippers and charges below-market rates.